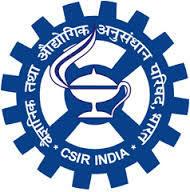 CSIR News / Updates 2018: Here are some of the very important updates and news regarding recruitment drives being conducted by CSIR - Council of Scientific & Industrial Research (CSIR). The recent updated published related to the organization is - JRF NET Exam June-2018 Result News. CSIR JRF NET Exam June-2018: Council of Scientific & Industrial Research (CSIR) has announced the Result of Joint CSIR-UGC JRF/NET EXAM held on 17 Jun 2018 are hereby informed that the final result of single MCQ test is under process and the same will be declared in the last week of November-2018.